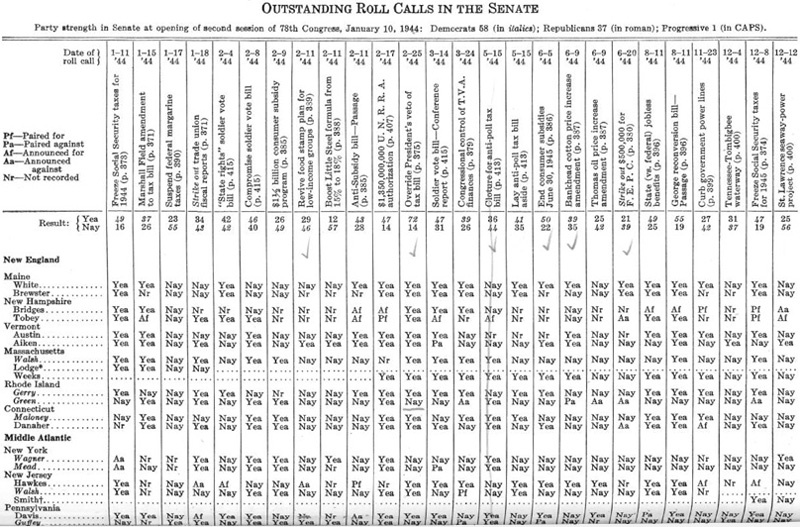 Leading roll calls in the senate during the second session of the 78th congress are given in full, in geographical arrangement, in the table which occupies the four following pages. 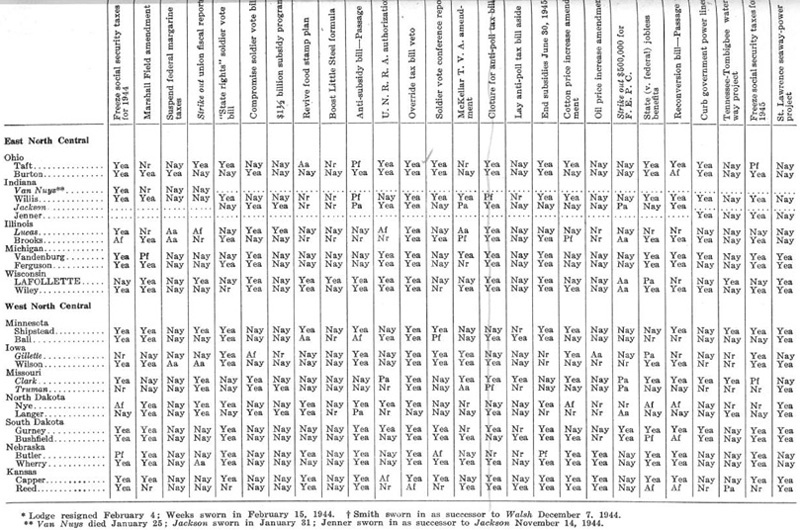 Political alignments in these and other important toll calls taken in the senate during 1944 are shown below. 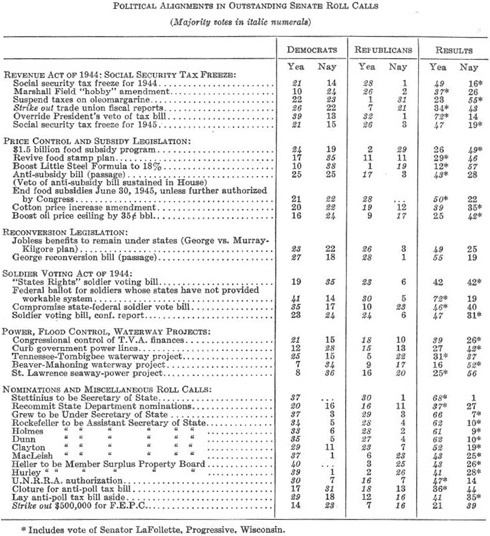 The most lopsided vote in the senate during the 1944 session, on any controversial question decided by a call of the roll, was that on overriding the president's veto of the $2.3 billion tax bill—72 yeas to 14 nays. 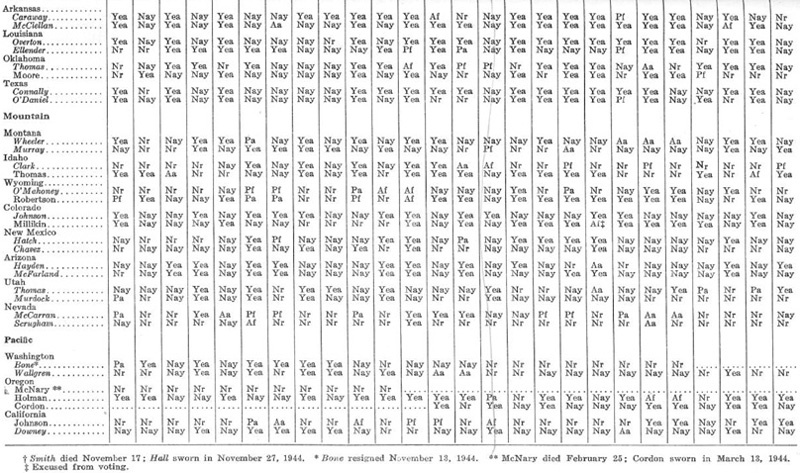 The closest vote—42 to 42—came on the “states rights” soldier vote bill. Leading roll calls in the House during the second session of the 78th congress are given in full, in geographical arrangement, in the table which occupies the remaining pages of this report. 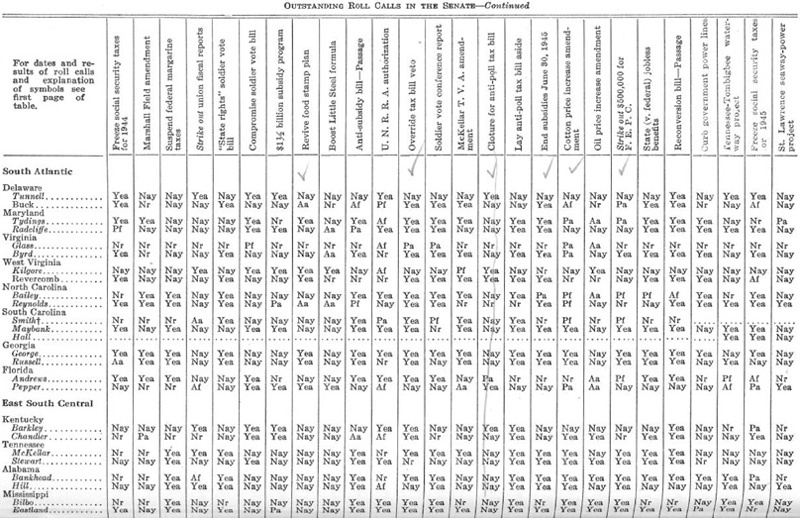 Political alignments in these and other important roll calls taken in the House during 1944 are shown below.